Hallo, matey! September’s over and now it’s time to dissect my monthly music binge listening! 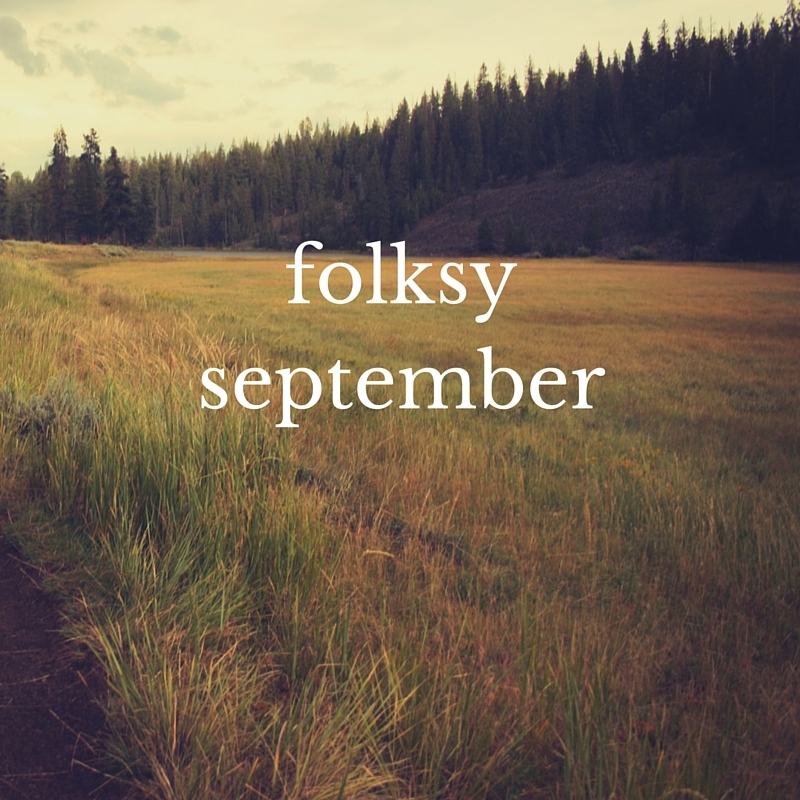 This month I’ve come back to my roots and reunited with my folksy tunes (must be the weather)! I have folk-biased ears so of course Dustin Tebbutt’s album, Home, is like an early Christmas gift. It’s soft, delicate and just breathtakingly beautiful. See, I was supposed to see Maroon 5 when they came here for their nth concert. But here is a startling realization: I no longer care about Maroon 5 like used to. I mean, of course “She Will Be Loved” and “Just A Feeling” and “Won’t Go Home Without You” and some of those other songs that I can’t remember now but maybe held dear will always have a space in my heart (or brains) – but man, this is just like when you grow out of something. I’m sorry, guys. You are still great, it’s not you, it’s me. Again, my folk ears are making a comeback after divulging into some electro pop (and ok plain pop). Purple Ferdinand is a beautiful folk/soul musician from London. Her lyrics are vulnerable and very much relatable. How many years has it been, I mean really. But some days, you need the boys, you need Sigh No More. Plus I will not get tired of that ^ video. Another acoustic singer, Helen Austin creates dreamy folk pop songs that are quite cutesy – perfect for those indie films ala Juno. Andreas Moe is a Swedish musician (and he’s about my age, HA!) who plays the guitar and sports a man bun occasionally (sometimes a super cool haircut too) and ok, seriously, he’s got really good songs. His face + hair is a plus. Chvrches has a new album woooo! I haven’t finished listening to the whole of it yet, but the first tracks are strong. Also back to give me a heart attack, Beirut baby! I love these guys so much and their new album is precious. ‘August Holland’ is one of my new favorites. Because Life is Elsewhere is still relevant and “A Little Opus” still lights me up. If you missed Isbells, stop what you’re doing right now and listen to this Belgian band. Beautiful music. Where’s Kings of Convenience? (well, Erlend did a solo thing but it’s not the same!) I’m waiting for you, guys. Because I told you, folk is really whispering in my ear right now. Ok, technically, Jr. Jr. is not a new band, they just renamed themselves from Dale Earnhardt, Jr. Jr. – the sound isn’t far off either, but ok, they are rebranding, I guess. Colony House is an American indie rock trio. I’m interested to see how far they’ll go. Cloud Cult is barely a new band, but they’re new to my ears and they’re kooky and fun to listen to. The 1975 – My boys are coming back next week (October 9, hint hint wink wink)! Expect them next month.